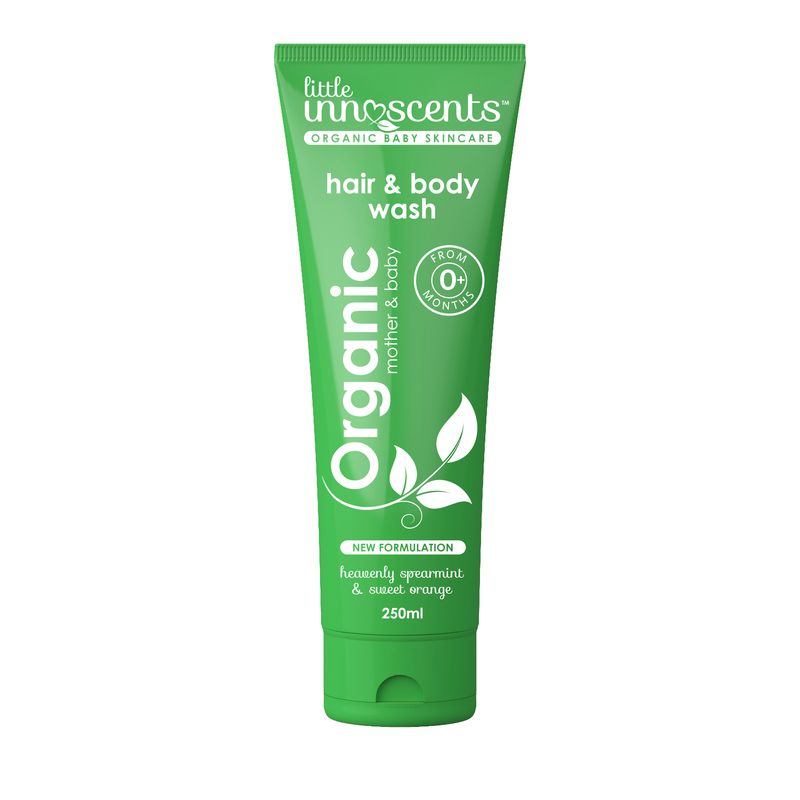 Little Innoscents’ most popular organic skincare product is our deeply cleansing and refreshing Hair & Body Wash. Safe to use on children of all ages, this product is completely free from harsh chemicals, colorings and petroleum derived ingredients, so parents can feel secure in the knowledge that their child’s skin will be cleansed, nourished and protected. Aloe Vera (Aloe Barbadensis Leaf Juice)*, Emulsifying Wax (Decyl Glucoside & Coco Glucoside), Vegetable Glycerine, Xanthan Gum, Preservative (Glyceryl Caprylate), Jojoba Oil (Simmondsia Chinensis)*, Aqua (and) Lactic Acid, Spearmint (Mentha Viridis Oil), Sweet Orange Oil (Citrus Aurantium Dulcis Oil)*, Lavender (Lavandula Angustifolia Oil).